A happy Uwitware and now former colleague Sudhir Byaruhanga on the field. As NTV Uganda unveils their new fleet of field cars rival station NBS Television will be unveiling NTV’s own reporter as their new recruit. 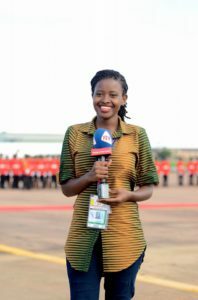 Gertrude Tumusiime Uwitware is NBS Television’s new product of what has become a routine poaching exercise at Serena-based Nation Media Group station. According to a reliable source, Uwitware handed in her resignation letter on Monday after getting an offer she couldn’t turn down from NBS Television. And, yesterday, the reporter put a pen to paper on a contract with NBS. Uwitware has been presenting “Living Life”, and “Tetenkanya Obulamu”, a news feature that highlights the everyday life of ordinary people in Uganda. Her resignation comes barely a month after the resignation of the station’s head of marketing, Collins Mugume. Mugume resigned shortly after the announcement of the new payment structure at NTV that says that instead of a monthly salary, reporters, news anchors among other staff earn for only the time they appear on TV. Uwitware, who joined NTV in 2013, is but a figure on a long list of NTV employees that left for NBS. In any, the ponds that dot Serena would aptly look like the baiting ground for NBS’ fishing routines on NTV. Among those who have crossed from Serena to Kamwokya include MC Kats, Solomon Sserwanja, Rukh-shana Namuyimbwa, Wisdom Kiyonga and Dean Saava. 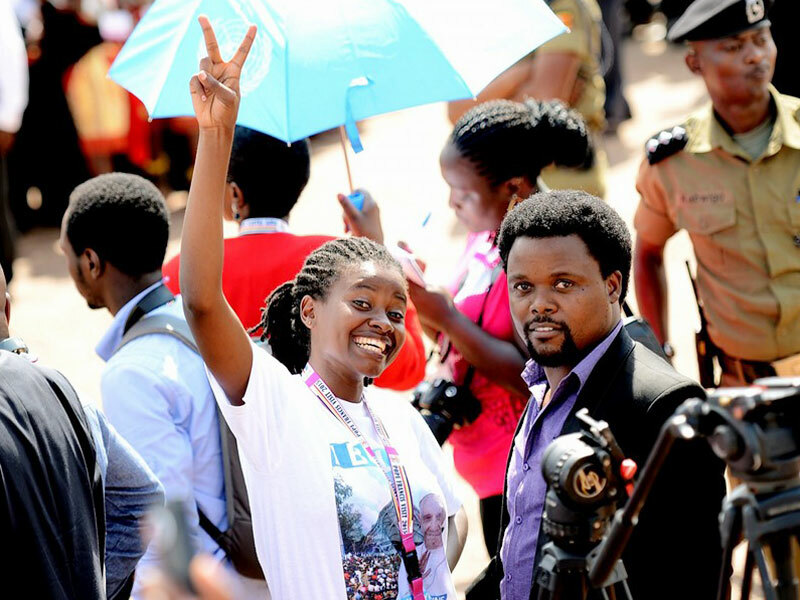 In April, Uwitware was thrust at the centre of public attention after penning a blog that supported Makerere Researcher Stella Nyanzi, who was facing the wrath of the regime for ‘insulting the person of the First Lady. Uwitware would go missing before being found. She said she was kidnapped by unidentified persons who blindfolded her and rotated drove her around town threatening her. She is reported to have been dumped in Kira Division late in the night.